A Customer Relationship Management application holds lots of business information. The ability to dissect this information in an easy way is important for businesses.The new feature for Business Intelligence in Salesforce analytics supplements the established reporting system with advanced capabilities. Using this feature you can create insightful reports and can now visually analyze your CRM information with the help of customizing dashboards – no IT help required. Business intelligence (BI) provides decision-makers with the information that they need to make insightful decisions. 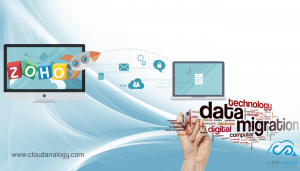 Company data is often stored in multiple, unrelated software applications and databases. BI tools gather and process data from multiple sources. They produce reports on the information to increase the knowledge of decision-makers. Effective BI helps companies identify growth opportunities, understand customer preferences and increase competitiveness. BI is most effective when it is presented in user-friendly formats, such as scorecards and dashboards. It is much simpler than it sounds. In fact, the formal practice gathering data from different sources to gain insight and an edge over competition go way back! Did you know- The term “Business Intelligence” was originally coined by Richard Millar Devens’ in the ‘Cyclopædia of Commercial and Business Anecdotes’in 1865? Devens used the term to describe how the banker, Sir Henry Furnese, gained profit by receiving and acting upon information about his environment, prior to his competitors. The ability to collect and react accordingly based on the information retrieved, an ability that Furnese excelled in, is today still at the very heart of BI. BI has provided a prolific feeding ground to more than fifty associated vendors, including full-stack software vendors like IBM, Microsoft, Oracle, and SAP, each with $1 billion-plus BI portfolios; SAS Institute, a multibillion BI, and analytics specialist; popular BI vendors Actuate, Information Builders, MicroStrategy, Qlik, Tableau Software, and Tibco Software, each with hundreds of millions in BI revenues; in addition many vendors ranging from early to late stage startups. 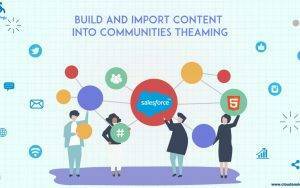 Because of the above factors, Salesforce.com had recently started working towards extending its own addressable market to accelerate its sales growth and pull away from its competitors. 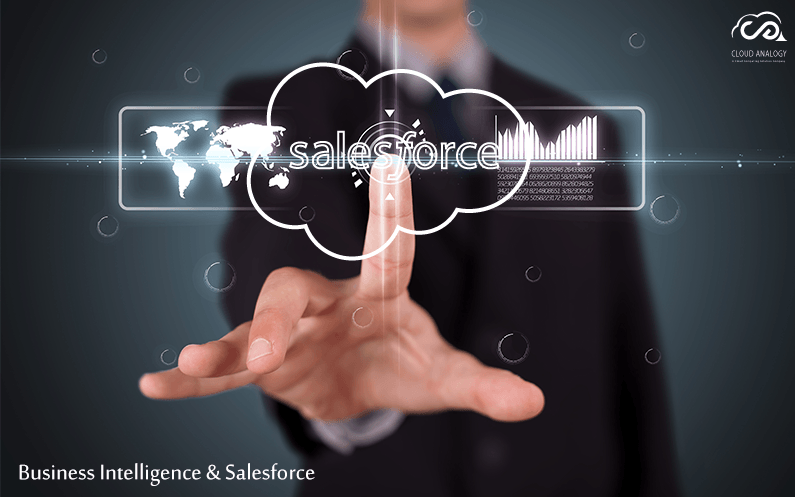 The company launched a sixth cloud platform named Wave, the Salesforce Analytics Cloud (a BI innovation acquired from EdgeSpring) on October 13, 2014, to enter the Business Intelligence market. Through this new cloud offering, Salesforce means to furnish clients with predictive analytics features by integrating its own Customer Relationship cloud offering. Salesforce Wave intends to simplify for everyone the art of data exploration, uncover new insights and take action instantly from any device. Analytics Cloud pulls in data from many sources in volumes that cannot be done in Force.com. For example, companies can bring together hundreds of millions of records from SAP together with data from Salesforce. 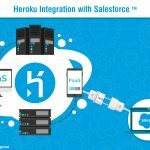 Or, think of joining Salesforce Service Cloud data together with data from connected devices in a MongoDB database. And it’s not simply the capacity to force together information, but the ability to question it, is what makes Analytics Cloud distinctive. The Analytics Cloud query engine is closer to how Google works than a conventional relational database tool. Facilitates easier user database searches with simple interfaces and search engine functionality. The Analytics Cloud is also a new mobile platform that lets non-data specialists create their own charts and graphs of large amounts of data for analysis. Since Analytic Cloud is designed to be device agnostic, it lives up to the expectations with smartphones tablets desktops. Just days in the wake of rebuffing Microsoft’s $55 billion takeover offer, Salesforce.com, Inc. reviled Salesforce Wave for Big Data, a new tool intended to help business users understand their information stores using the Salesforce Analytics Cloud. Salesforce first showed off Wave, a tool to maneuver information into Salesforce’s cloud and create business-friendly analytics, in October last year. Presently the company is using Wave as an analytics service for data stored in Hadoop and similar repositories, with the idea of bringing external data sources to the platform. Salesforce Wave for Big Data integrates some well-known Big Data tools into Wave, including those from Cloudera Inc. and Hortonworks Inc., New Relic Inc., and, biggest of all, Google, via the data services offered with its Google Cloud Platform. The move affords Salesforce two big advantages. On the one hand, it gives the company a new way to add value to anyone who’s investing in one of those other platforms or services. Second, it helps push Salesforce deeper into the new, but not unfamiliar territory. 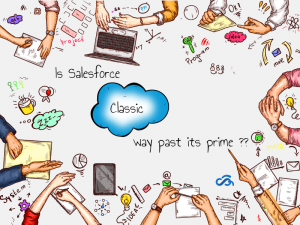 Is Salesforce Classic way past its prime?